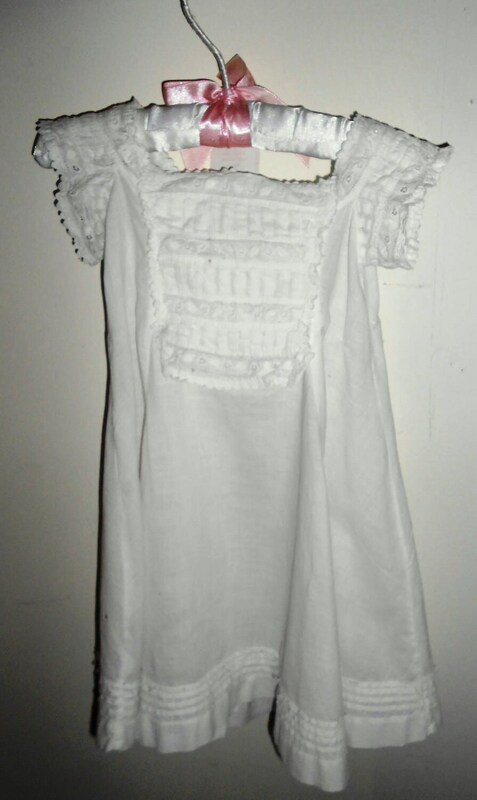 1870's infant (one to three months) dress of white light lawn cotton. Dress has open, square neckline, with short cap sleeves. An attached bib, at yoke, has alternate rows of eyelet edging, and pin tuck pleats. The bib starts at neckline and ends at waist. Dress is A lined, with four small pin tucks encircling bottom of dress, above hem. 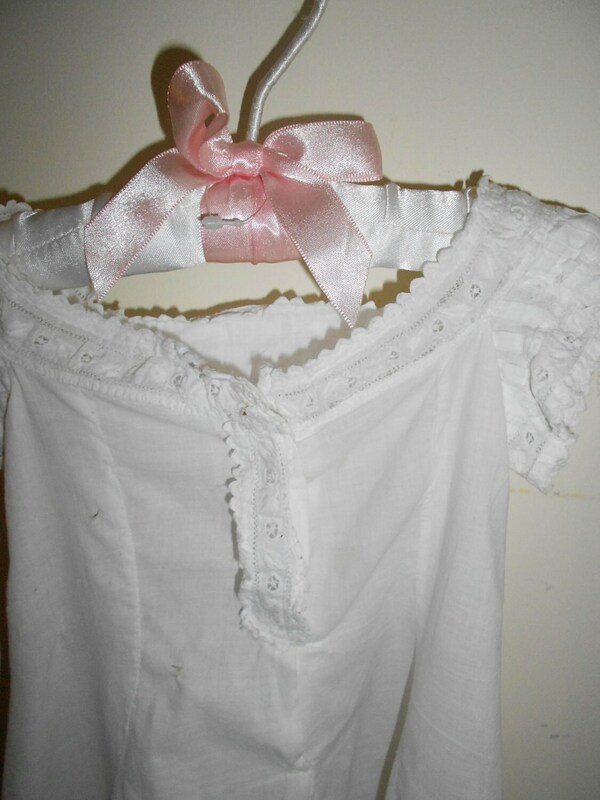 Two white round glass buttons fasten dress in back . Condition: very good, two small mendings at upper back right, tiny black mark back of skirt, right.